Cinnabon Canada has a sweet Mix and match promotion available for a limited time! 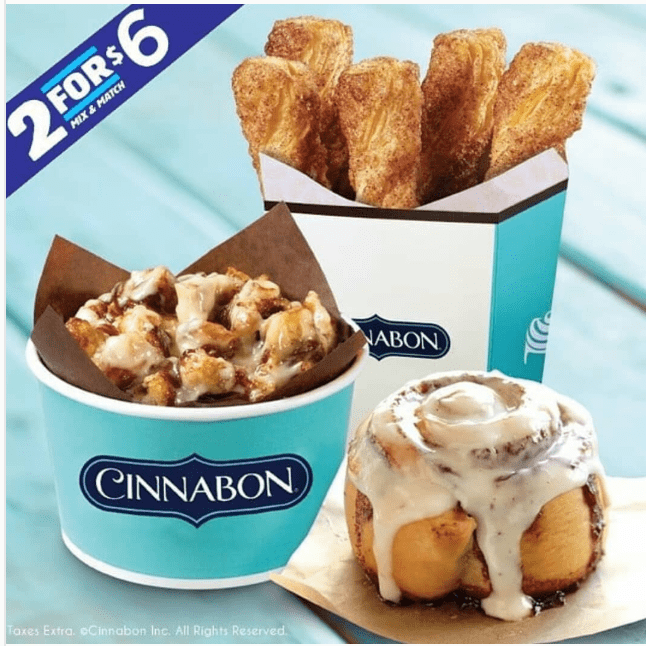 The Cinnabon Mix and match promotion include Get 2 of your favorites for only $6. Click here to find Cinnabon near you.